The Ohio-made 3 manual, 8 rank PAGE THEATRE ORGAN was an integral part of the Sandusky state Theatre when it opened in 1928. Sometime in the 1960's as the State theatre struggled to compete against mall cinemas, the private owners of the Theatre sold the Page organ to an individual in a Detroit suburb who is a serious theatre organ enthusiast. This private owner set up his newly found purchase in two of his homes. The gentleman, Mr. Floyd Bunt, advancing in age, thought of returning the Page organ to its original home. 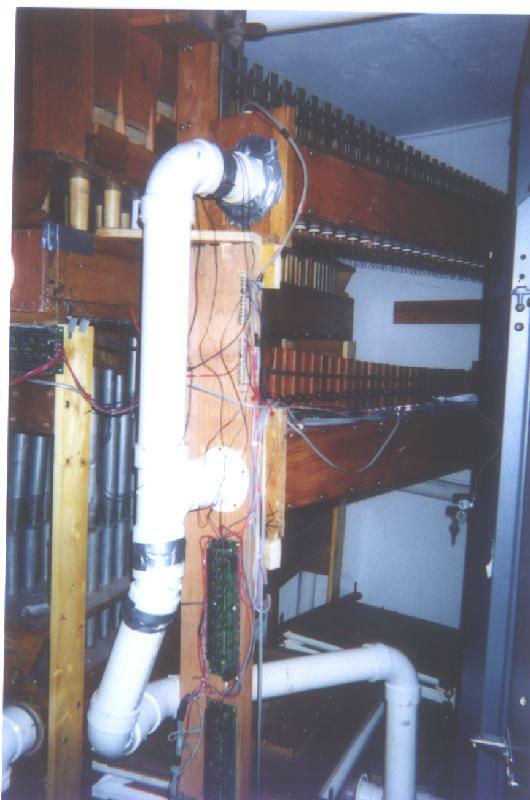 The State theatre accepted his free gift in December of 1995. the Theatre's 501(c)(3) non-profit Board of Trustees engaged an extremely experienced organ rebuilder on a "pay as we go" basis to move, renovate and reinstall the Sandusky State Theatre's original Page Theatre Organ. 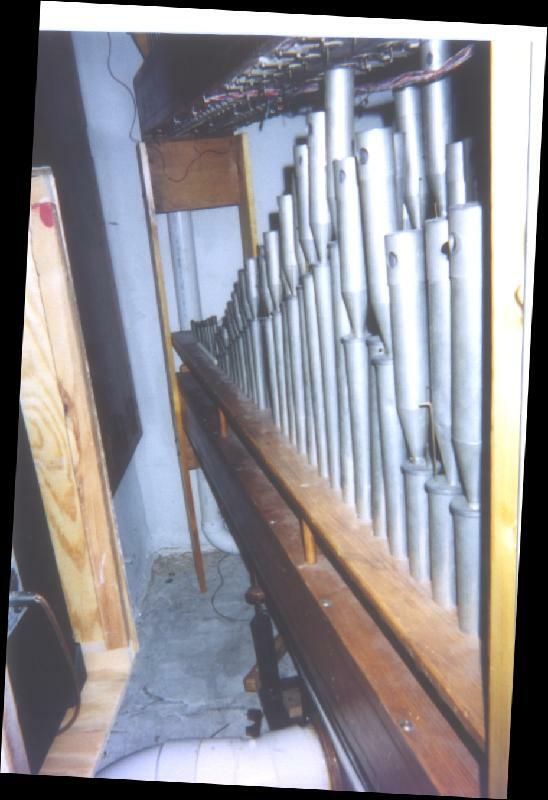 An initial gift of $8,300 from the Old House Guild of Sandusky to the Theatre allowed the organ to be disassembled and moved to an organ rebuilding workshop in Livonia, Michigan. Jay Wagner, an Emeritus member of the state Theatre Board of Trustees, led a dedicated Theatre Organ Campaign committee who raised over $80,000 locally to fund the rebuilding, refitting and reinstallation. The painstaking process, started in the spring of 1998 has taken nearly two years to complete. 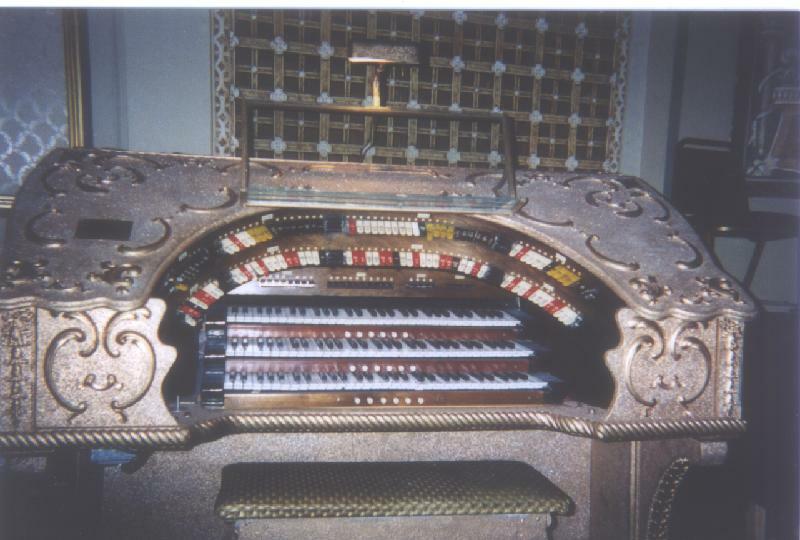 On November 23, 1999 the Page organ played again as Dennis James, House Organist for Disney s El Capitan Theatre in Hollywood, provided music for the presentation of Charlie Chaplin's great silent film, "Gold Rush". It has been suggested the present manuals may not be the originals. The relay system was replaced by Artisan boards and the finish of the console itself is very curious. It would appear that someone, many years ago, coated the console with glue, gesso or sizing then completely flocked it with a "glitter-like" substance. Then the whole thing was painted gold. This stuff, whatever it is, is coming loose and is very sharp. It is planned to refinish the console in the near future. The blower is original. This instrument has been severely damaged and is no longer playable. The connecting cables were cut during a recent renovation and the present theatre administration has put repairs at the bottom of the list. The Page console has been removed from the auditorium and is being stored in a damp basement room.